Charging KCR with being a 'katputhli' (puppet) and 'slave' of PM Modi, he said the Chief Minister's "remote control" is with Prime Minister, who did not say 'yes' to his idea of early poll. 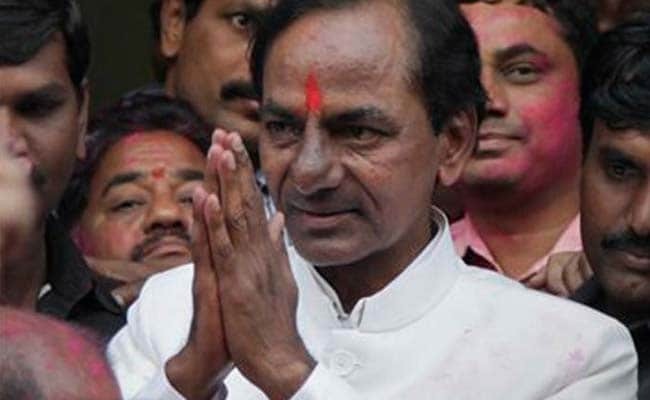 The Congress in Telangana Monday claimed that Chief Minister K Chandrasekhar Rao may have dropped his plans to go for early Assembly elections in the state after Prime Minister Narendra Modi and Election Commission (EC) did not back his idea. There has been speculation in recent days that Mr Rao may recommend dissolution of the Assembly, favouring clubbing of the state elections along with that in Madhya Pradesh, Rajasthan, Chhattisgarh and Mizoram later this year. But, yesterday, keeping the suspense alive, the Chief Minister had said he has been authorised by the party to take a final call on the issue. Telangana Pradesh Congress Committee chief spokesperson Sravan Dasoju said, "on early polls, Modi and EC have not given him (Rao) permission. As a result of that, he has gone back; he actually wanted to dissolve the House and he had told so to many of his close aides". Charging Mr Rao with being a 'katputhli' (puppet) and 'slave' of PM Modi, he said the Chief Minister's "remote control" is with Prime Minister, who did not say 'yes' to his idea of early poll. "It (early Assembly polls in Telangana) does not (now) look like a possibility," he said, adding update electoral rolls would be ready only by October-end. "How is that before the electoral roll is finalised, he (Rao) can call for a schedule?" Telangana Assembly elections are unlikely to happen by November-December, he said, adding, PM Modi and Mr Rao, however, may advance Lok Sabha and Assembly elections, respectively, due in April-May next year, by one or two months and club the elections in the four States. On the Chief Minister's statement yesterday that the people of the state should not become "slave to Delhi parties," Mr Sravan said Mr Rao himself has become a "slave" of PM Modi, pointing to his support to the Centre on demonetization and GST, and to NDA nominees in the elections to the post of President and Vice-President. Mr Rao had yesterday said, "Just like in Tamil Nadu, we should also make sure that power is vested in our hands for self-respect rather than Delhi leadership dictating our state... don't become slaves to Delhi parties". Mr Sravan termed this type of promotion of "Tamil Nadu" model as "day-dreaming" by Rao. Before the 2014 Assembly polls, Mr Rao coined the slogan "Bangaru Telangana" (golden Telangana), and is now trying to evoke "anti-Delhi kind of sentiment," he alleged.